FILE - In this Aug. 9, 2017, file photo, State Department spokeswoman Heather Nauert speaks during a briefing at the State Department in Washington. President Donald Trump is expected to nominate Nauert to be the next U.S. ambassador to the United Nations. Two administration officials confirmed Trump’s plans. A Republican congressional aide said the president was expected to announce his decision by tweet on Friday morning, Dec. 7, 2018. The officials were not authorized to speak publicly. President Donald Trump announced Friday that he’s chosen State Department spokeswoman and former Fox News host Heather Nauert to serve as the next ambassador to the United Nations. Nauert, who joined the State Department in April 2017, would replace Nikki Haley, who announced her plans to leave the post earlier this year. CNN reported Nauert, 48, will likely face a tough Senate confirmation process focused particularly on her qualifications. Before taking on her role with the State Department, Nauert had little government or foreign policy experience. 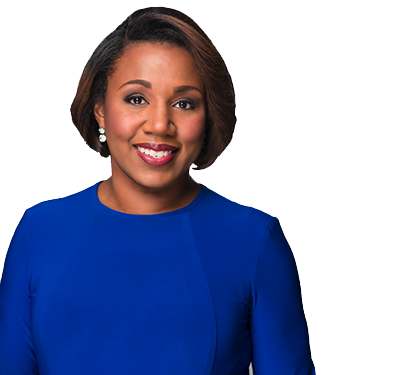 She spent more than 20 years as an anchor and correspondent for Fox News, where she led breaking news coverage for the network’s “Fox & Friends” morning show, according to CNN. She worked as a general assignment reporter at ABC News for a short time before that, the news network reported. Haley also lacked foreign policy experience before she took on the role of U.N. ambassador in January 2017, Bloomberg News reported. "People were slightly denigrating about Haley too, because of her relative lack of experience and the general view is that she did quite well," Richard Gowan, a senior fellow at the United Nations University’s Center for Policy Research, told CNN. "No one wants to prejudge how Nauert will perform. ... She'll be working with a pretty professional team and if Nauert is willing to trust the diplomats, they will have her back." Haley announced in October that she would step down at the end of this year. The president also said Friday that he plans to nominate former U.S. Attorney General William Barr to replace Jeff Sessions. He added that he plans to announce another big staff change Saturday afternoon, during the Army-Navy football game.